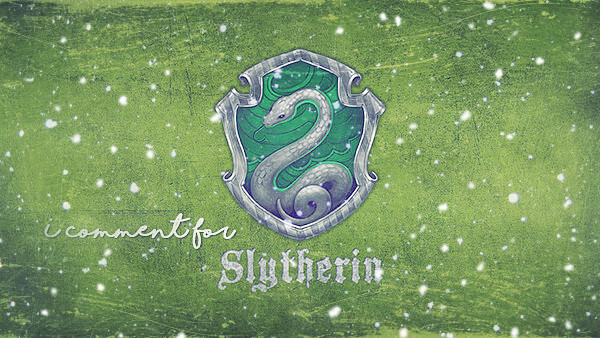 So I was just counting up my points for capitu's Comment_a_Thon, and I realized that I needed two more recs to be able to claim twenty more points for Slytherin! Well, I can't leave those points just sitting there, can I? Oh no. From hoggywartyxmas (dudes, I am telling you, fabulous fest is fabulous) you need to go look at A Peaceful Haven, some utterly glorious Minerva art. It's Minerva, surrounded by books and looking contented and happy, and I want to live inside this art. *happy sigh* It's beautiful. And, from sshg_giftfest, this VERY UNSAFE FOR WORK, Severus/Hermione art by the incomparable mywitch, Greetings from Paradise. Let's just say I have spent an inordinate amount of time staring at this art today, and it is...mesmerizing. Mywitch definitely knows her anatomy. Damn. *bites fist* Hermione's *cough* movements are something to behold. I took this opportunity to catch up a bit on hoggywartyxmas submissions. 1) A Much Calmer Sutra, Severus/Minerva, art, which is a beautifully sweet and sensuous piece with lovely warm colors that radiates calm. 2) The Hogwarts Chronicles, Severus/Hermione, Minerva, 3500 words, PG-13, a clever and witty piece of writing that portrays perfect characterizations and hilarious asides. 3) The Retribution of the Silver Spoon, Lucius/Severus, assorted others, R (for language), 5800 words, which is a fascinating look at Lucius and what he has to do to survive his actions during the war. All are worth reccing, so I am taking this opportunity to rec them (and the entire fest, really), which is chock full of brilliant pieces. This is great timing, because I was preparing a recs post for later anyway! All of these are from currently posting fests and so the creators are anonymous. Wands Upon a Time, 24000, Harry/Draco, Teen. I adore stories with clever wandlore and unique magic and this has it in spades. Harry's an Auror on desk duty due to an injury, Draco runs an underground illegal medical clinic. When Harry finds a mysterious broken wand that speaks to him, he tracks it to Draco, and the two embark on a fascinating adventure. Beautifully written, it even features sassy!Pansy, and Lucius' cameo is perfect. LOVED it. Bibliomancy, 12400 words, Irma Pince/Minerva McGonagall, Irma Pince/Helga Hufflepuff, PG. Beautifully written story detailing the origin, life, and loves of the Hogwarts librarian. Her creation is one of the most unique pieces of brilliant magic I've read, and her interactions with everyone from Salazar Slytherin to Beedle the Bard are inspired. A gorgeous story everyone needs to read. Romantic Sleigh Ride, Harry/Draco, G.
This art is beautiful and almost luminous, as if lit from within. I love the thestral, the background, and the way Harry and Draco are tenderly leaning against each other. Really gorgeous! Head of Hufflepuff: Pomona Sprout. Pomona, G.
You guys, I got an art gift at hoggywartyxmas! You guys, I've gotten some lovely presents recently and I need to share! From enchanted_jae I recieved a fun Harry/Draco fic, Holiday Hangover Part 1, and if you know anything about Jae you know it's a fun, fluffy treat. And finally, the ridiculously talented mywitch posted art for me today. This wonderful Harry and Snape is Day 7 of her 25 days of Drawings. It's fabulous to see my OTP content and happy. <3 Also, if you haven't do check out the rest of her drawings in the series, they're fabulous. You guys, enchanted_jae drew me stick art, and it's adorable! Go check out Our First Date! So I posted a Snarry drabble earlier (The Friendly Skies on LJ/IJ/DW) and the fabulous mywitch drew art to go with it! Anyway, go and leave her all sorts of love, K? So this should be the last I spam to you today, but you really should go and check out the luscious Snape art mywitch has created. Long story short, we got into a conversation here, which resulted in me writing a ficlet called Using His Imagination (LJ/IJ/DW), which then resulted in her drawing art! Whew! And this is why I love fandom (and journals) so much. So the wonderfully talented mywitch did art for one of my fics: Come Along With Me (LJ/IJ/DW). Go and check it out now! And be sure to leave some love. Sketch for Come Along With Me. You have GOT to see them! The first one is a Snape-Potter Winter holiday scene that I commissioned. So the fabulously talented daleah is taking art prompts, so of course I requested Snarry and THIS is what she created! Run, don't walk, because yummy blow jobs are yummy. So I was chatting with the wonderfully talented shadowycat and somehow we started talking about Snarry (I can't imagine how I could have brought that into the conversation *g*) and I managed to nag her into drawing some for me. Anyway, when she asked what I wanted I requested an illustration of my hp_halloween/ hp_halloween drabble, Halloween Happiness, and the very luscious result, called "Illustration for Halloween Happiness", is rated R and can be seen here: LJ/IJ/DW. I believe I literally squealed when she emailed it to me last night. Unfortunately, because I completely spaced, I forgot to rec two brilliant art pieces from the fest (I'd seem them on my phone and even forgot to comment on them, an error I've now rectified). Anyway, since the reveals are up it's no longer sn anonymous rec (not that this artist can hide, really). Constant Vigilance and More Than Skin Deep by shadowycat are both NC-17 works that feature Alastair Moody. The first one, Constant Vigilance features him and Sybill Trelawney and is fantastically detailed, down to Sybill's hair and clothes, Moody's scars and *cough* bits, and his prosthetic, which is a masterpiece of artistic detail. The second, More Than Skin Deep, is Moody/Tonks, and is more intimate. It's clear in both pieces that Moody's pretty thrilled to be there, but the intense looks they're sharing and Moody's scars and body hair and Tonks' posture make it special. So, in week two of the hp_beholder fest, there were even more fabulous submissions. I have mentioned how impressed I've been by the quality of this fest, haven't I? If not, consider it expressed. And if you haven't been following I highly encourage you to check it out. There's definitely something there for everyone. Here are the standouts for me. The author creates a totally credible back story for Antonin, gives him a reason for his rage, and believably explains the heartbreak and tragedy that lead to his eventual decision to join the Death Eaters. I hurt for him here, something I'd have thought impossible before reading this. And Flitwick... Wow, I can see why Antonin couldn't stay away. Complex, gorgeous and tragic tale. I've seen this one recced all over the place and understandably so. When I originally read this I had to go away and come back before I could actually comment coherently. First, the writing here was so very clever! The back story for Filius is fascinating, but it's Griphook who totally steals the show. He's not likable by any means, but the reasons for his actions are very clearly explained by the differences between wizard and goblin cultures, which the author depicts beautifully. This one will give you food for thought. Gorgeously detailed symbols abound in this piece, and the use of color was just right. The tender embrace was the perfect crowning touch. As always, if you encounter something you enjoy (whether in this fest or elsewhere), please leave some words of encouragement. It is definitely appreciated. So a while back I commissioned the fabulously talented tripperfunster to make me some Snarry art. It's a scene depicting something I've wanted to see illustrated for a very long time, a Snarry wedding, and I've talked to several artists about it all of whom ran screaming. I almost gave up, but then decided to ask Tripp. She managed what no one else did. Snarry Wedding is chock full of just the sort of detail that I craved for this piece. Luna, Hermione and Ron, the Malfoys... they are all perfect. And her addition of Hagrid weeping happily in the corner was a brilliant touch. Seriously, go look and leave her some love. She totes deserves it! As I know I mentioned in my Lubricus post, the wonderfully talented andreanna hung out in the Snarry Suite and made us art. It occurred to me that I hadn't shared my gift with you all yet, so, here, for your enjoyment, is the piece she did for me, fresh off the scanner. For those of you who missed her auction, someoldcat had THIS PIECE up for grabs a while back and I snapped him up. I must say, they look very pleased with themselves. Perhaps it's the proximity to all that alcohol. Heh. So the lovely and talented pennswoods was taking prompts Saturday and I jumped on that immediately by asking for Snarry snogging (of course). Go, stare and admire with me!